This award-winning, laugh-out-loud spin on Spielberg’s classic Jurassic Park is a theatrical celebration of cinematic nostalgia. The perfect parody for those waiting anxiously for the next film, and an enjoyable entertainment for everyone else! Welcome to the unlikely setting of Lyme Regis Community Centre, where the Park Family embark on a journey to a misty past. When things go wrong, family feuds are faced with the rapturous roar of DIY dinosaurs. Superbolt Theatre’s five-star production is an epic adventure of show-stopping, spine-tingling theatrics and megalithic mayhem. Direct from a sell-out London season, and an official sell-out status at Edinburgh Fringe 2015, the show tours the UK for the first time! 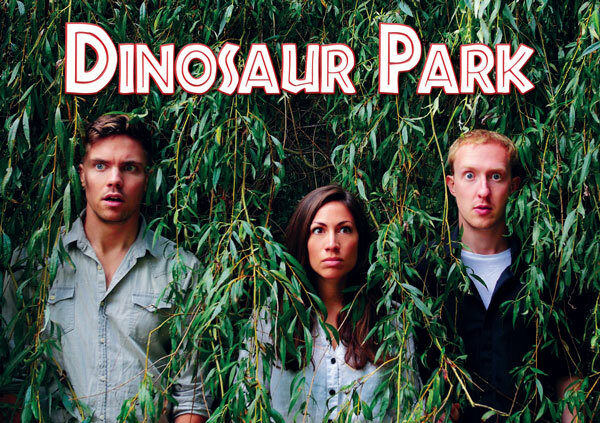 Just like the film that inspired it, Dinosaur Park is rated PG and is unsuitable for under 8s. Find out more about Superbolt Theatre here.